Tomorrow marks a big day for Ms. Christina Aguilera, a woman I've looked up to and been a fan of since I was 12 years old (hard to believe, right?). Her fourth official studio album, Bionic, is officially in stores, after four years of waiting, speculating, anxiety, annoyance, and a little more waiting. Needless to say, it's an album I've been anticipating greatly. Having had the chance to preview the album a few weeks back, I've been listening to it full length quite often, and to say I'm a bit...dissapointed would be an understatement.While I definitely do not believe she should be getting the side-eyes and hurtful reviews she is receiving, I am strangely finding myself in the camp of disbelief at her choices. The fan-ship will never waver so long as she still has that voice, and while it may not be under the striking spotlight on this record, as she's stated herself, she's already proven herself. X-tina, we may not always agree with your choices, but we'll always be here for you. 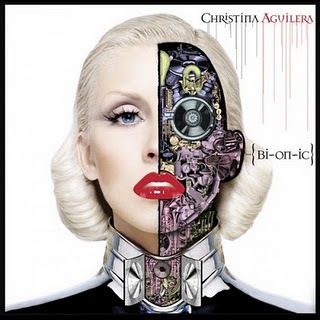 With that said, click here for our thoughts, track-by-track, on Bionic. You know...I'm yet to hear it, but I am quite excited! Judging by the lead single, which is rather brilliant, some of the reviews seem a little harsh...but fingers crossed I like it - It'll be interesting to see how it charts!